1.1 Sportsbook and Casino are operated by Thinkquick Ltd., a company registered by the government of St. Kitts and Nevis. 1.7 Intertops Casino will not serve any customers from Costa Rica. Please see the general Intertops rules on the Intertops Sportsbook page for any other restricted countries at Intertops. 2.1 Only one bonus per customer, per household, per shared computer and shared IP address at any given time. 2.2 All bonuses awarded to customers shall be considered as betting credits only. Intertops reserves the right to audit all requests for withdrawals, to reclaim any bonuses or winnings that have been accorded prior to a failed audit and to alter or discontinue a promotion at any time for any reason whatsoever, without notice. 2.3 If customers withdraw money from their account and then return it, they will not be eligible for a re-deposit bonus. Deposit bonuses that are exclusive to our Casino have to be redeemed with the specific Coupon Code in the “Redeem Coupon” section of the cashier in the casino client. This must be done BEFORE the deposit is made. A bonus cannot be credited in retrospect. Only one bonus per customer can be active at any time. The identity of a customer will be determined on the basis of all or any combination of the following: name, mailing address, e-mail address, IP address, credit card number, computer, and any other forms of identification which may be required. The bonus plus the corresponding deposit are credited to the bonus balance and have to be played through 30 times, unless otherwise stated. After completing the wagering requirements, the bonus balance is transferred to the withdrawable balance. The bonus balance cannot be transferred from the casino. In the event that Intertops awards a 100% bonus and the customer deposits $100, the customer must make wagers totaling at least $6,000 in the casino in order to request a withdrawal. All bonus offers may include specific small print regarding the valid promotion period, bonus amount, play through requirements and allowed games. Intertops reserves the right to change promotions at any time. In case of dispute, the decision of Intertops is final. The 100% Welcome Bonus can be only credited to accounts of players who have never before deposited into their Red Casino account (RTG). Players are subject to the standard wagering requirements. The minimum deposit required to receive the bonus is $20. Any free money given without requiring a deposit has a maximum payout of 5 times the bonus amount. This rule is also valid when a customer’s balance is positive at the time of redeeming the non-deposit bonus. After redeeming the bonus, the rule will only be annulled after the customer’s balance has reached $0 again. Players are subject to double the standard wagering requirements. Our birthday no-deposit bonus must be redeemed within one month of the birthday, all other no-deposit bonuses within one month of their receipt. The winnings from Free Spins have to be wagered 60 times before a withdrawal can be made. A maximum of 5 times the initial free spins value in USD can be withdrawn, if no deposit was required - unless otherwise stated. Free Spins are always limited to one specific game. 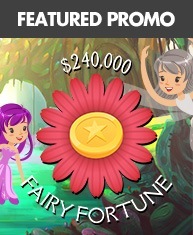 Free Spins must be completed at the specified game before any other game can be played. The Free Spins do not change the terms and conditions of a corresponding deposit bonus. If a deposit bonus granted in the Sportsbook is transferred into the casino, the standard wagering requirements as defined in 2.4 apply before a withdrawal can be processed. 2.5 In the event of customers’ deposits qualifying for more than one bonus promotion, the bonus with the highest percentage is valid. 2.6 Bonus programs are intended for recreational bettors only. Professional players or players considered to be abusing the bonus system may have their bonuses, as well as any winnings from wagers based on such bonuses, forfeited and be subject to further sanctions at the sole discretion of the Intertops management. In case of abuse, Intertops reserves the right to discontinue a customer's membership and to prevent the player from accessing any Intertops sites in the future. 2.6.1 Please note that customers who have not made any deposits can only claim free bonus winnings one time. 2.6.2 Customers whose last deposit is older than three months and claim a free bonus, are not entitled to a withdrawal. 2.6.3 Winnings made on linked accounts using same offers will automatically be voided. Intertops reserves the right to remove the bonuses and winnings from the accounts. 2.6.4 Max bet rule for all bonuses = $10.00. Any winnings plus bonus amounts will be voided in accordance with this max bet rule. 2.7 Intertops reserves the right to exclude customers from certain or all bonus promotions without prior notice. No correspondence will be entered into. 2.8 For additional and specific details see the small print of individual bonus promotions. The Intertops Bonus Rules apply to the Slot Tournament Buy-Ins. If you use the playable balance originating from a no-deposit bonus to enter a tournament, the maximum payout of 5 times the bonus will be applied to any tournament winnings. Note: Intertops customers are subject to the general Intertops Sportsbook rules. Please click here for further details.